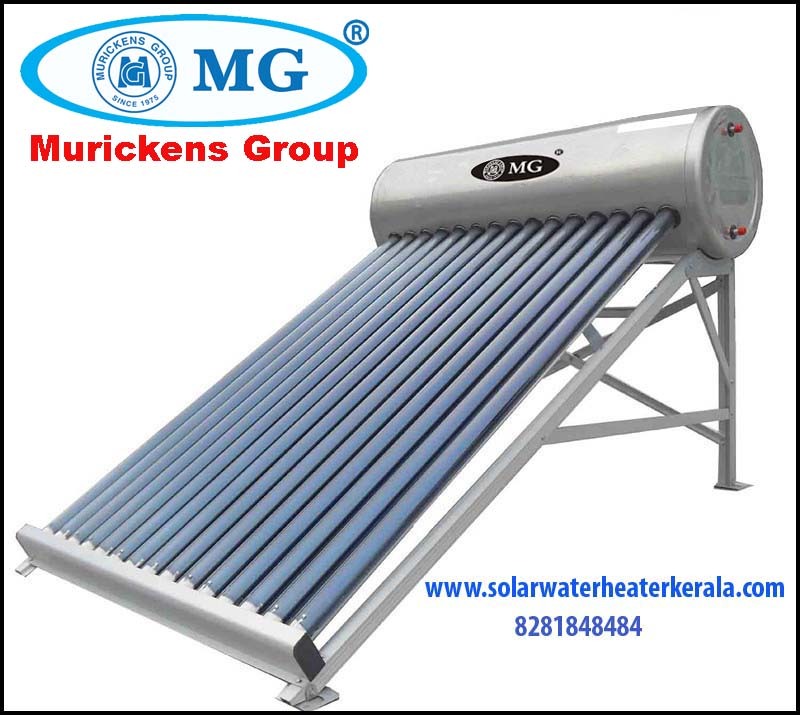 Solar water heater play a remarkable role as a power saver in Kerala, which can be installed in any place where it gets direct sun light. This is mainly used in houses, hotels, hospitals and industries. It is fully automatic system and as there is no mechanical system we can forget about maintenance for FPC model. 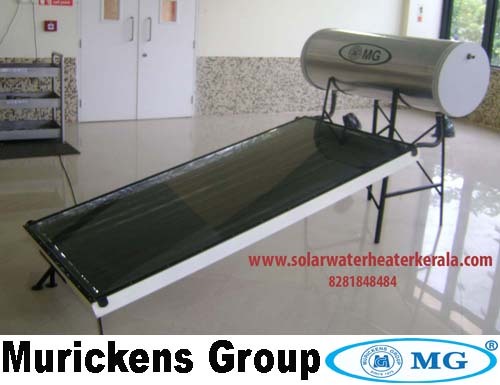 There are two type of Solar water heater in our market, FPC and ETC, to the Kerala climate, first one FPC is most suitable which is made-up of copper and steel. About second one it is evacuated tube collectors (ETC technology) which are made up of rows of parallel, transparent glass tubes. ► Maintenance free. ► Water heated up to 80°C. ► No electrical hazard. ► No expenses after installation. ► The best way of getting natural hot water for cooking and industrial purpose ► Copper capillaries. ► PUF system and glass wool to avoid conduction loss for storage tank. ► Light weight. ► T I G welded fins and tubes. ► Compact in size. ► Heat expulsion. ► Fully automatic. ► High quality tempered 4mm thick front glass. ► Sturdy and weather proof design. ► Different Capacity starting from 125 liters to 1000 liters. ► Custom built Solar Water Heater can also be provided. ► Two models FPC and ETC. ► In FPC special model we can connect pressure pump. ► In Restaurants. ► Clubs & Resorts. ► In Hospitals. ► Hostels. ►Institutions. ► In canteens.► Laundries.► Swimming pool water heating. ► In most Process Industries. ► In Green buildings to earn renewable energy points. ► As In feed hot water to Boilers. ► For Can washing at Dairy collection centers. ► General washing & cleaning purposes.► In Agricultural sector. Different capacity starting from 125 liters to 1000 liters. Consumer's specific models are available. Copyright © Murickens Group 2000-2019.All rights reserved..